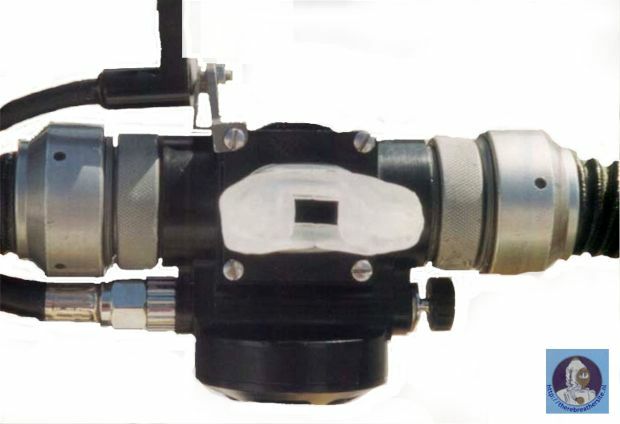 inboard or outboard bailout gas by means of a build in open circuit regulator. 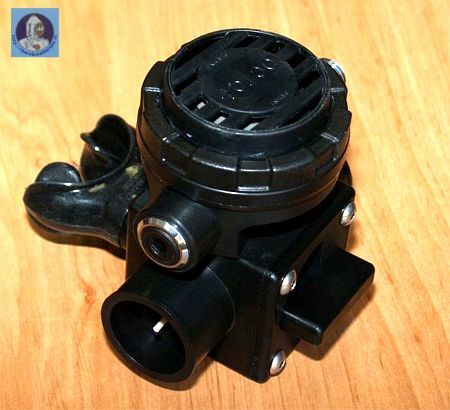 If you know other manufacturers of Bailout valves or FFM's with bailout facilities, please don't hesitate to let me know! 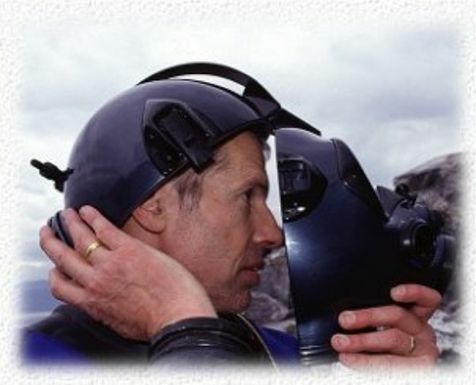 I will add them to this page to get the complete picture! 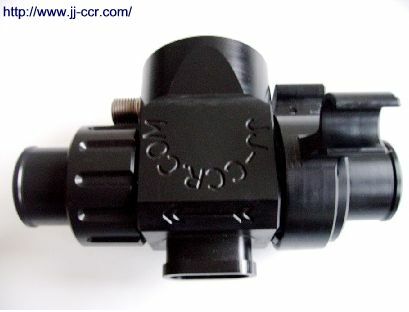 APD new 2008 OCB valve. 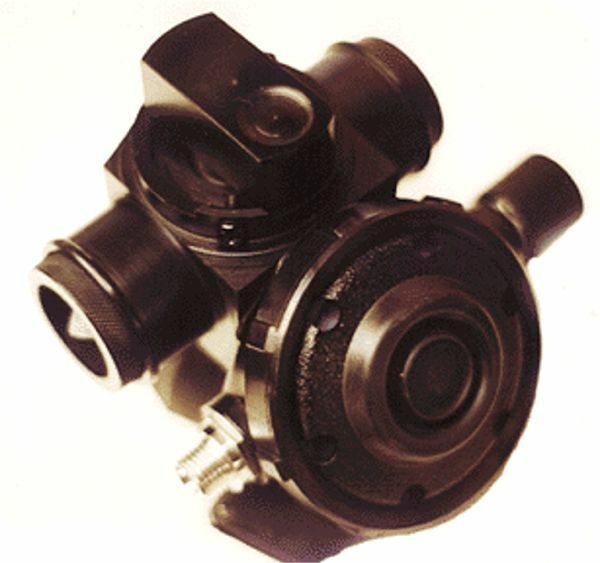 Bob Howell OC-BOV/DSV One of the older models designed and produced by Bob Howell. 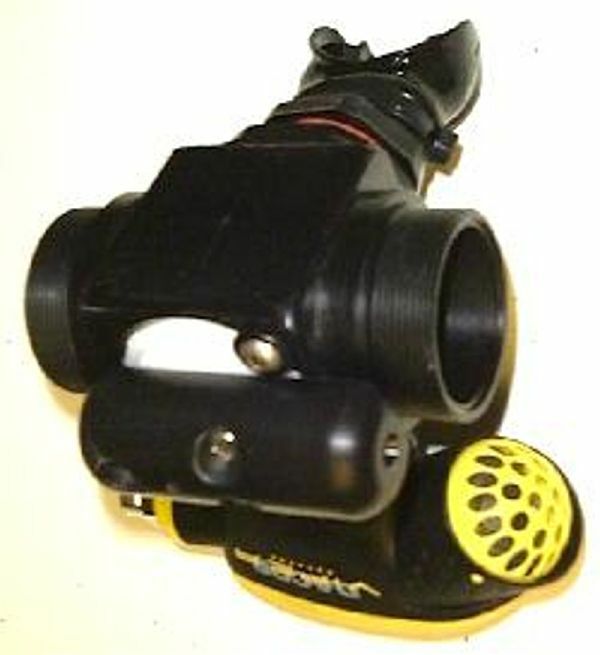 One of the older models designed and produced by Bob Howell. 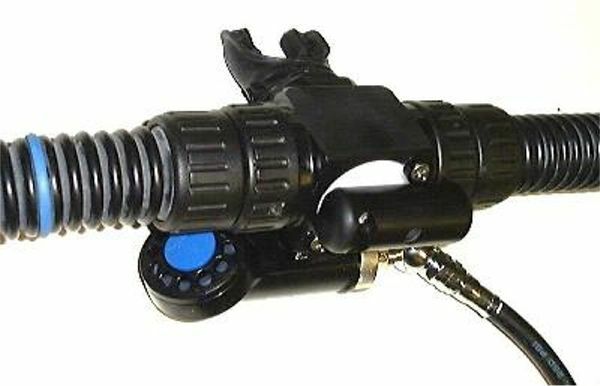 The OC/BOV-DSV used on the Cis Lunar MK5, on the top you see the HUD mounted. 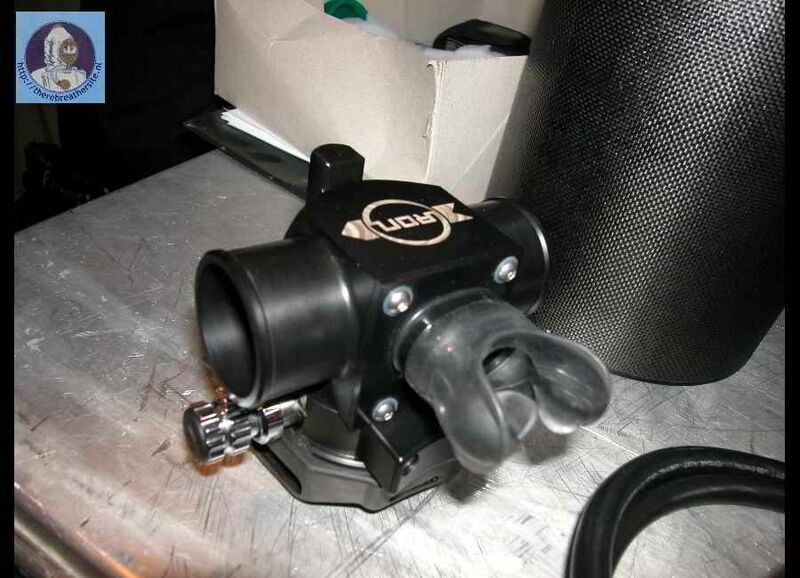 During a couple of years Filip Krolak made this Bailout valve but he stopped business. 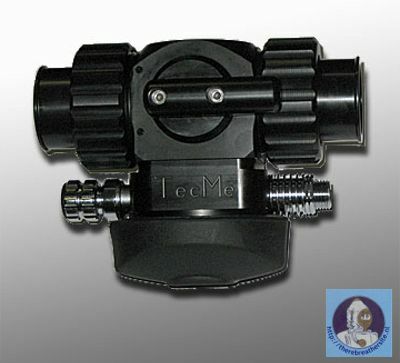 Nemotech was the company but also stopped business. 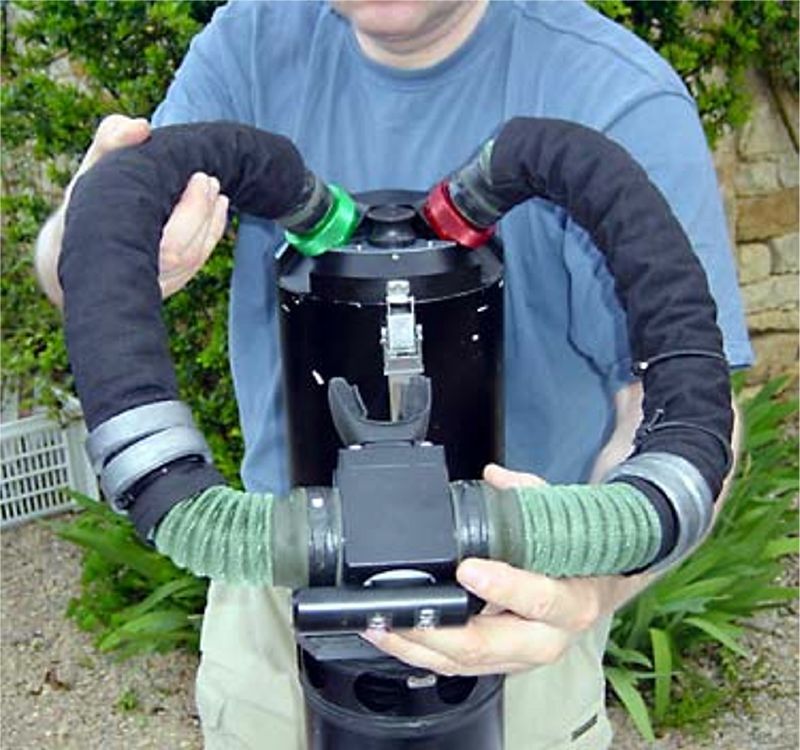 Here you see an example of a possible configuration of the bailout system. 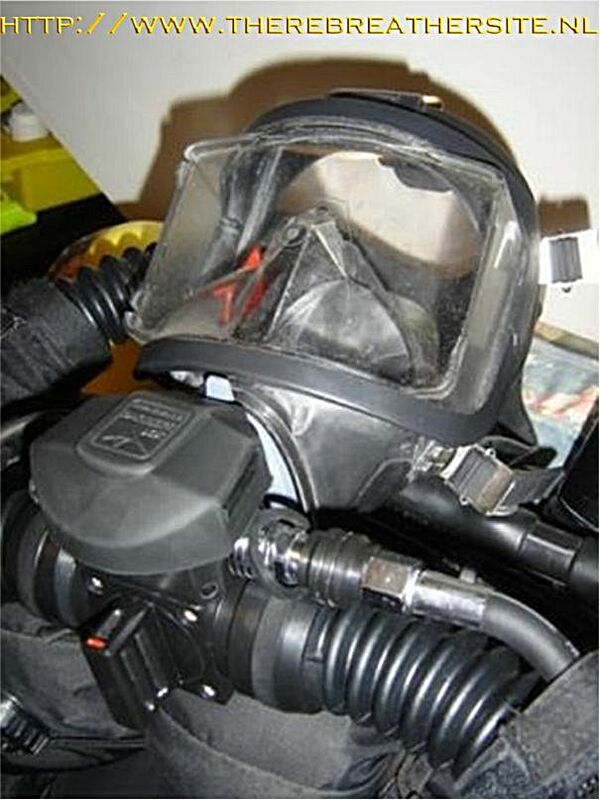 Kirby Morgan designed "M48-Supermask" a mask that offers the possibility to use a standard OC regulator because half the mask can be removed very fast. 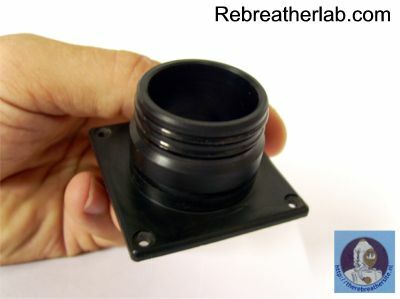 Here you see the pod can be removed and there is access for your regular OC regulator. 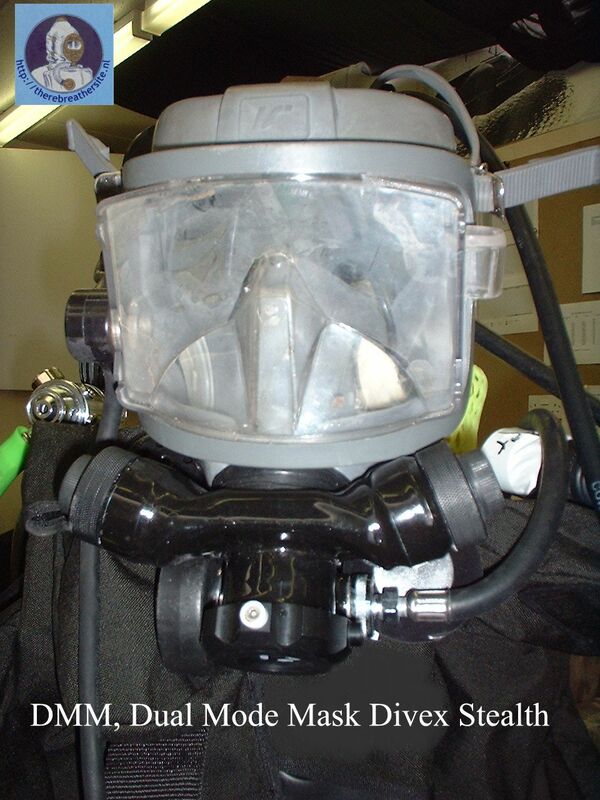 AGA full face mask. 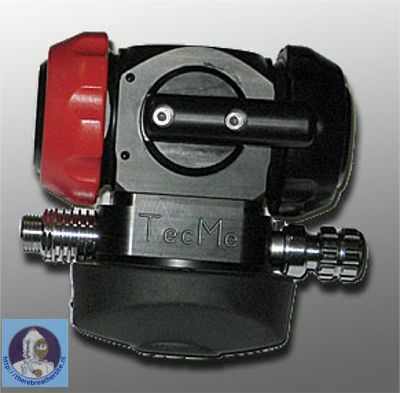 This unit is equipped with Bailoutsystem and the second stage regulator has a apeks shut valve to prevent freeflow. 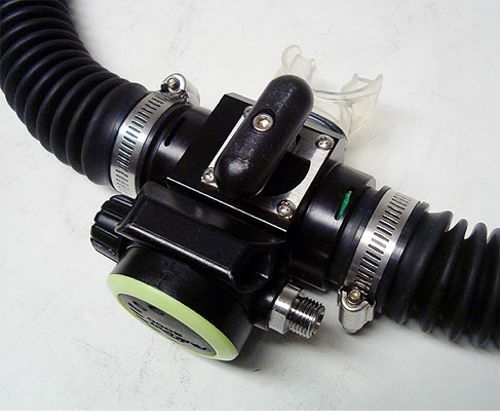 Divematics bailout regulator attached to AGA FFM. 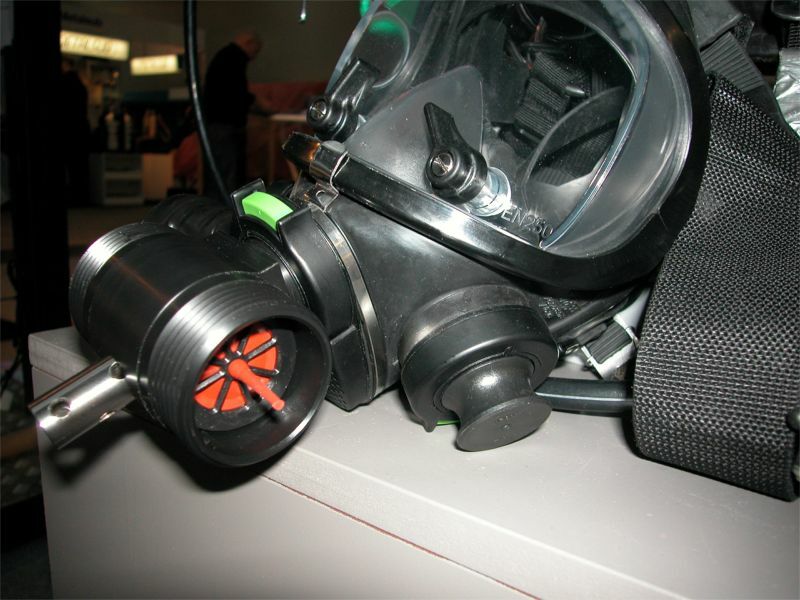 Divematics Widolf mask and OC BOV. 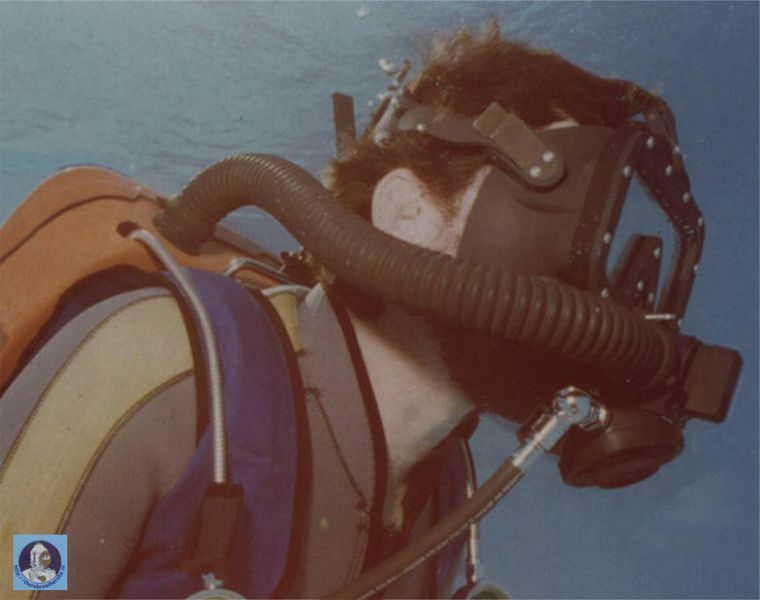 Divematics with Widolf mask and OC BOV. 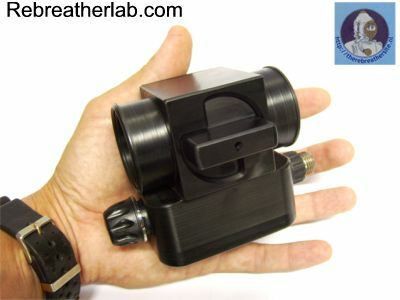 Draeger Panorama mask here in standard version. 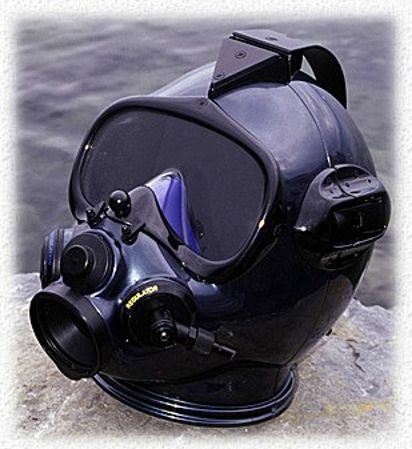 The mask can be equipped with Shark or Apeks second stage regulator. 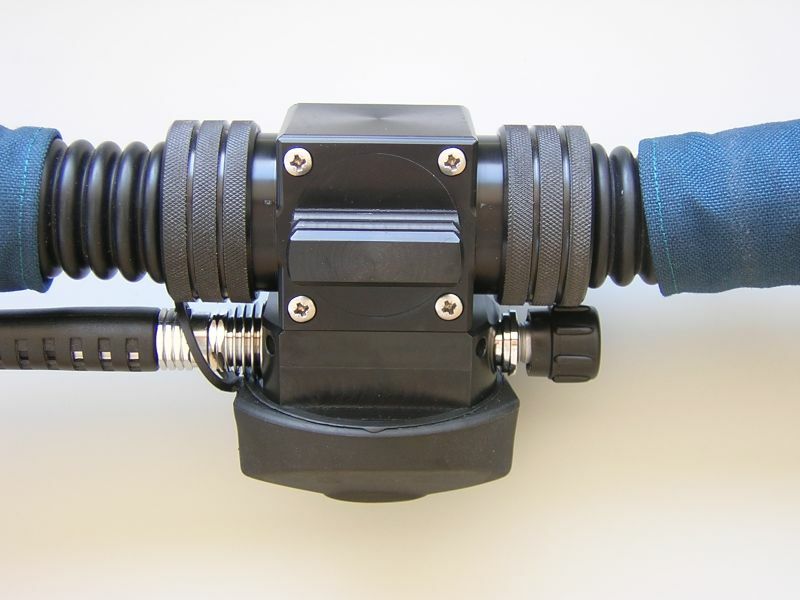 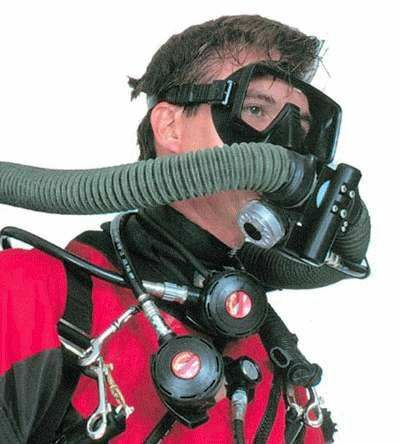 Arrangement is adaptable to a great range of rebreathers. 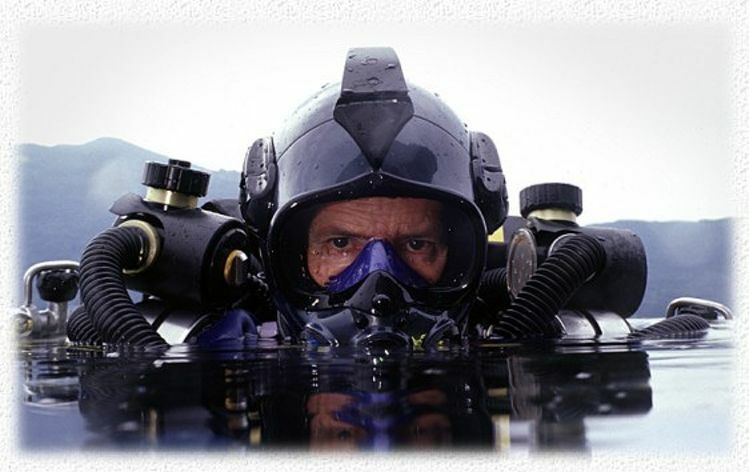 Standard available for Dolphin and Ouroboros rebreathers. 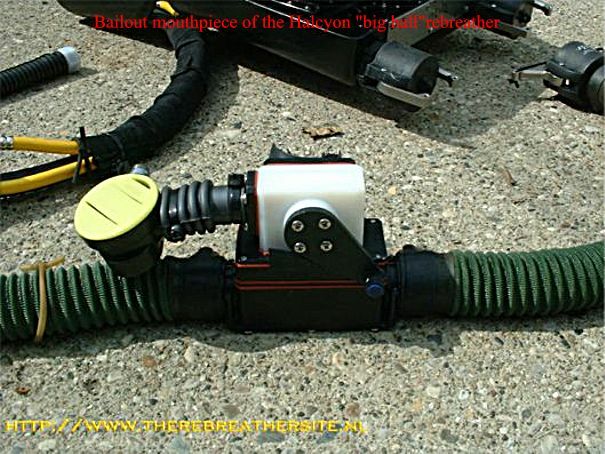 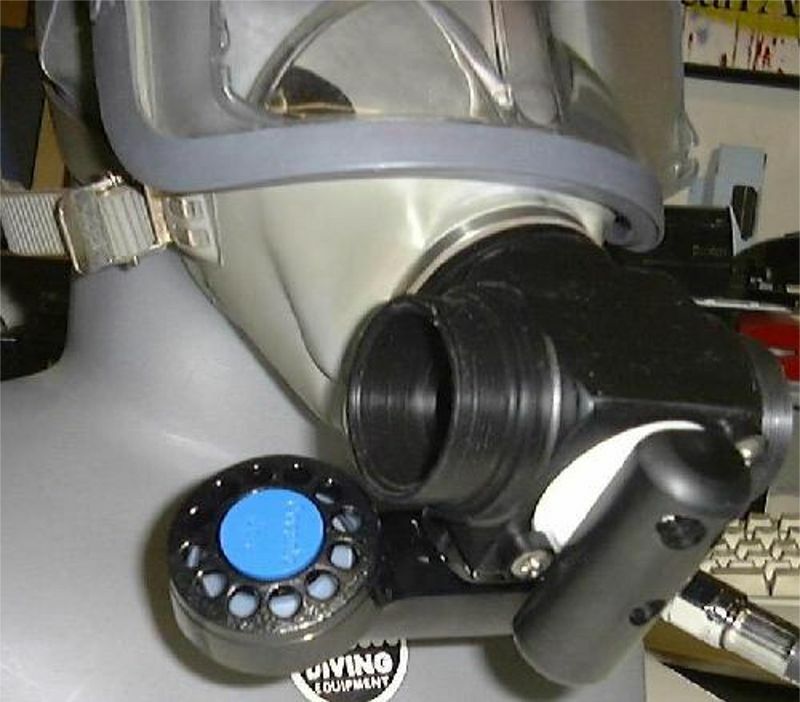 Here you see the Mask fitted to the Ouroboros rebreather with the Apeks TX 100 bailoutregulator. 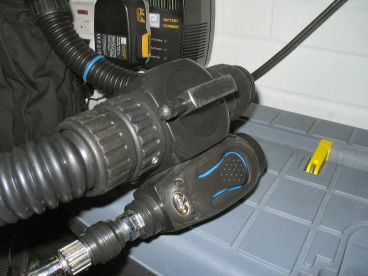 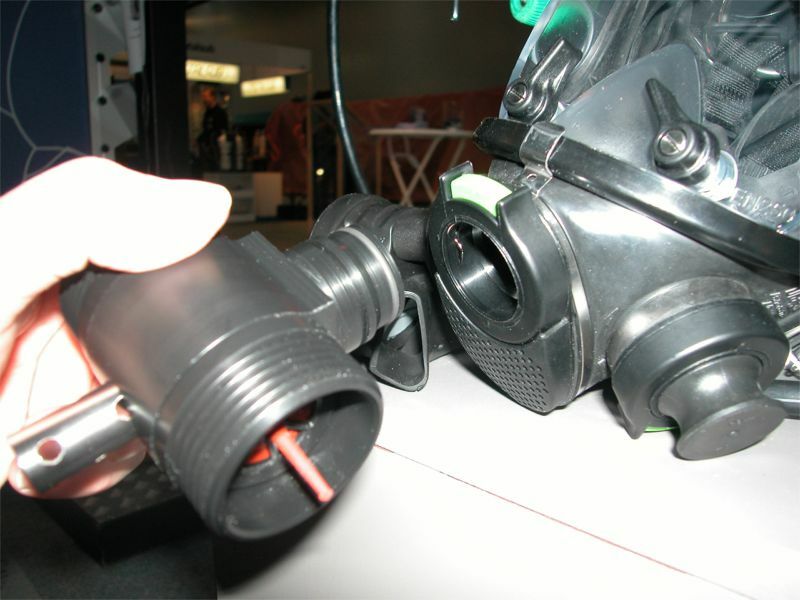 The T-piece connects to the P-port and makes the mask universal in use. 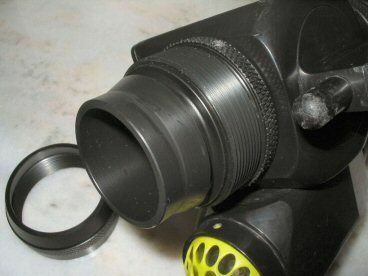 The Ouroboros T-piece is also the DSV and includes the mushroom valves. 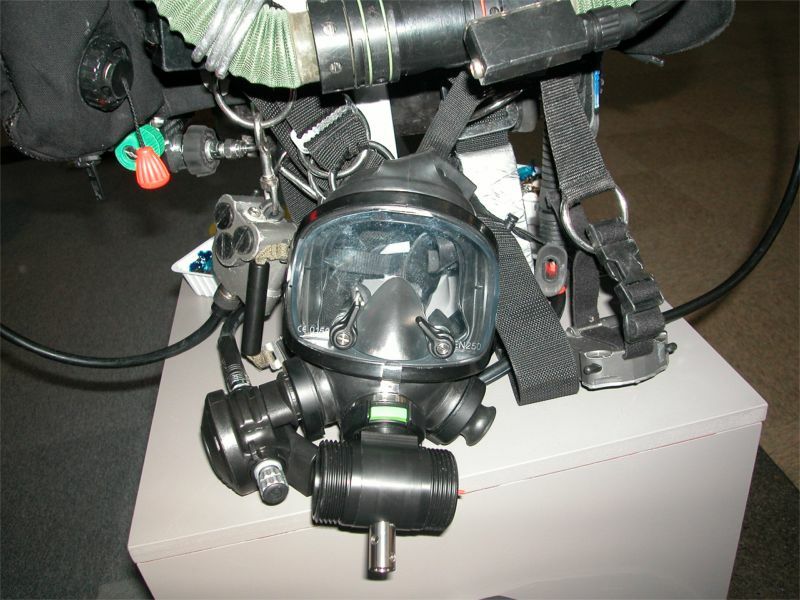 Here you see the mask equipped with special Inspiration DSV and OC bailout regulator, and als build in communication system. 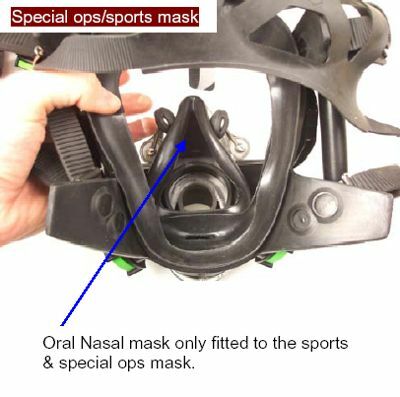 Important; The sports mask (above left) cannot be used with the Draeger Dolphin rebreather as the mask would be blown off the face due to the absence of a bite mouthpiece, which would complete the breathing loop. 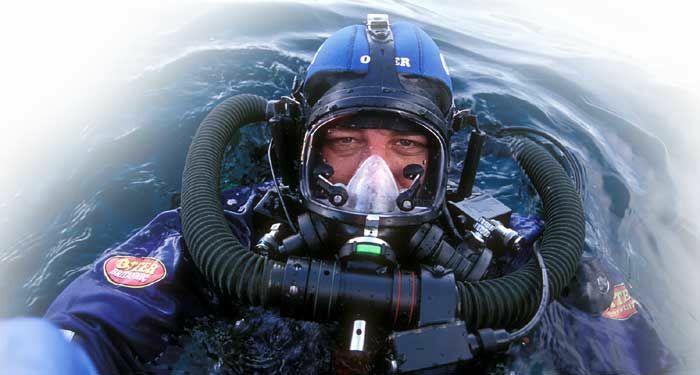 For anyone to use a Draeger Panorama full face mask in conjunction with a rebreather they have to purchase the rebreather version of the mask, no other version of the mask can be used! 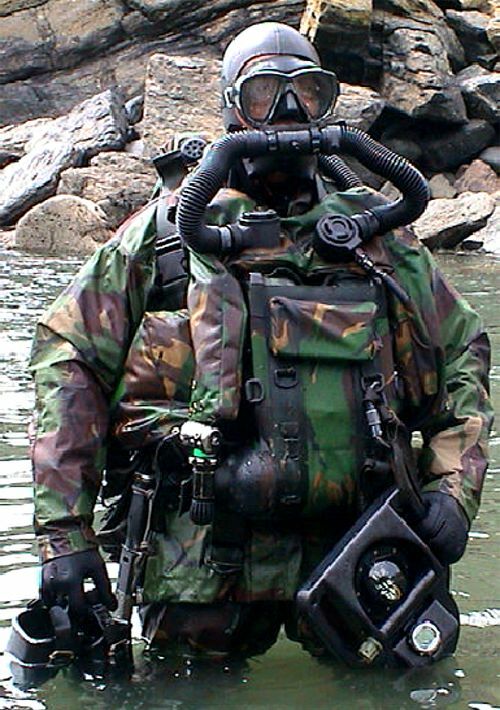 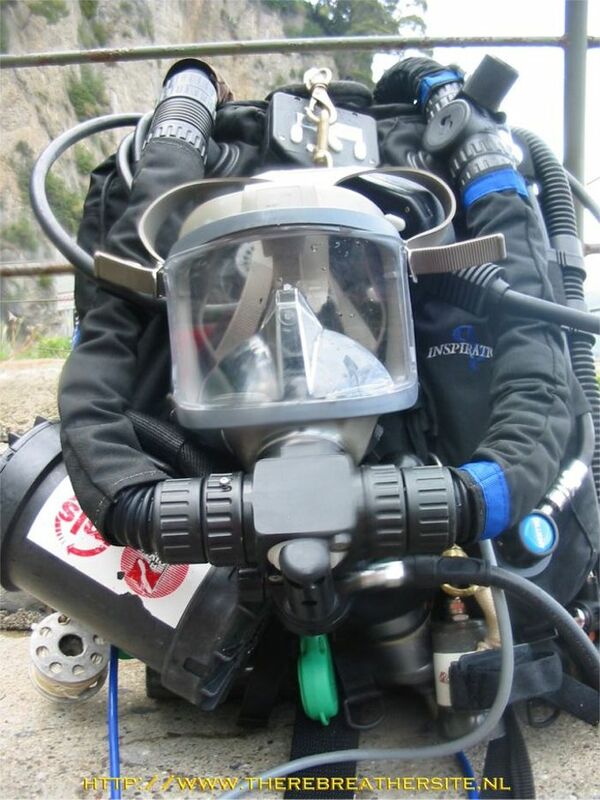 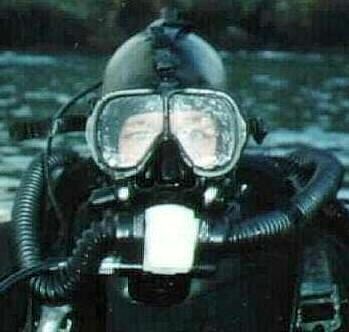 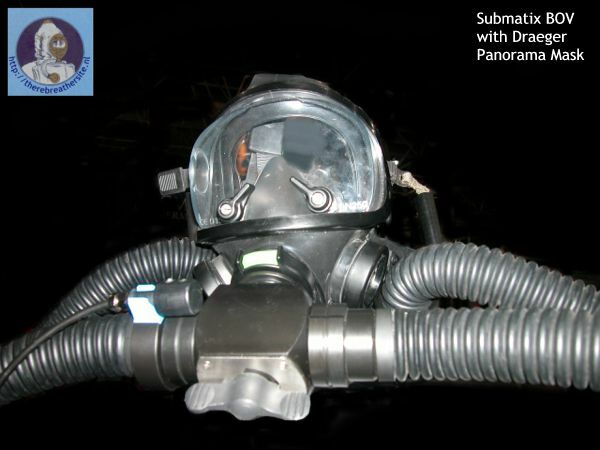 Here the Draeger Panorama mask build on Ouroboros rebreather equipped with OC bailout system. 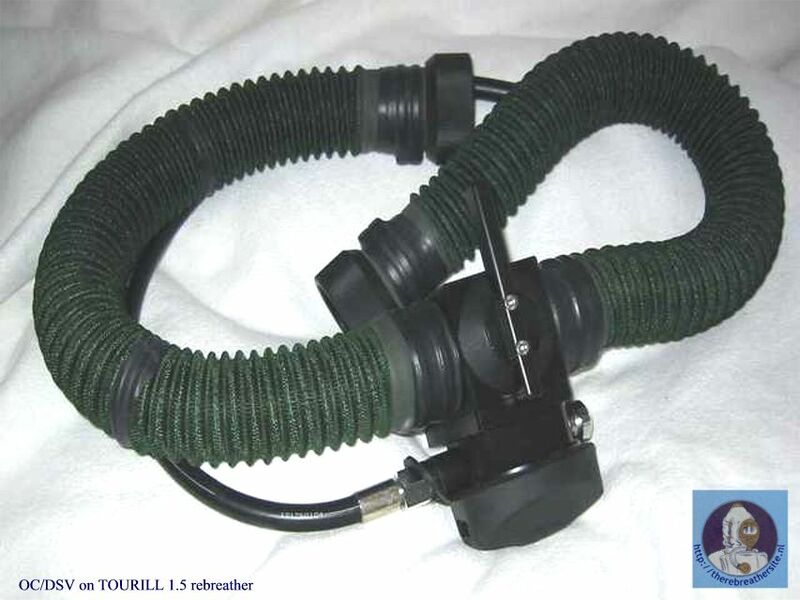 Tactical rebreathers FFM with OC bailout. 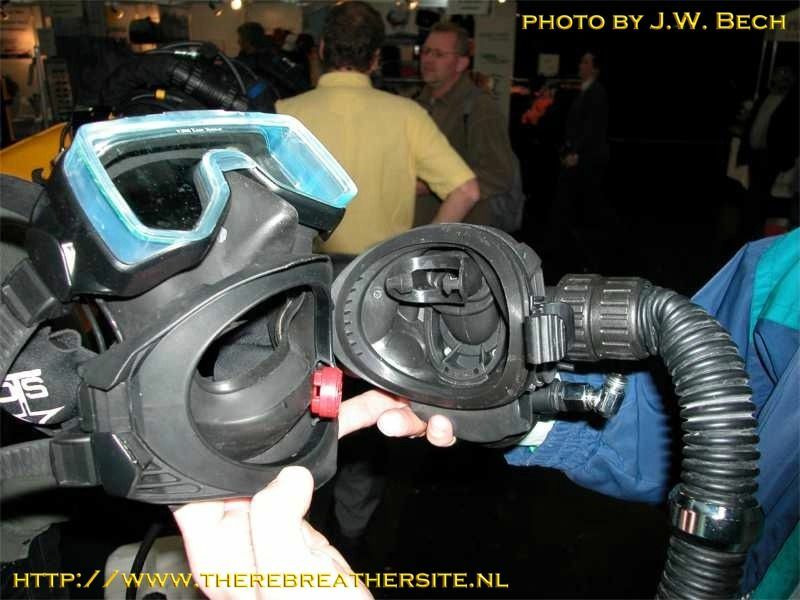 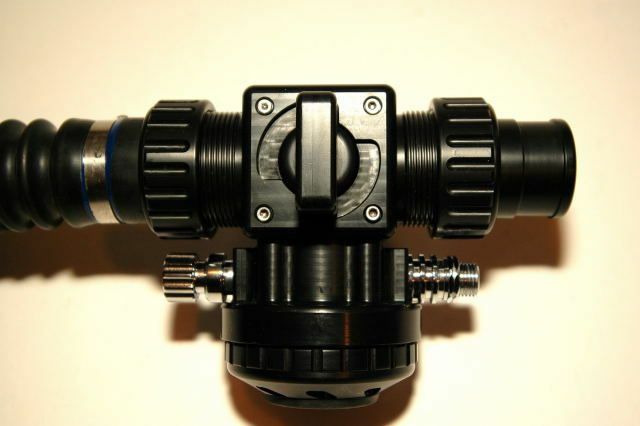 Here you see a picture of the DMM (Dual Mode Mask) which can be fitted to the Divex Stealth. 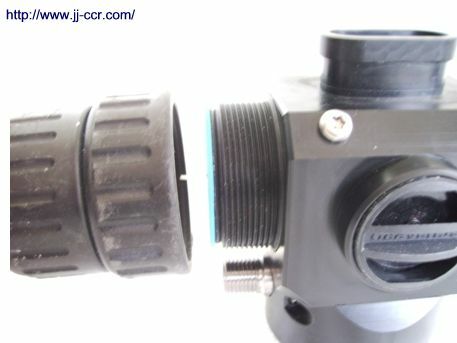 You will note that there is a solid block that has a rotary switch on the front, allowing change from OC, with Posiedon Cyclon 2nd stage, to CCR. 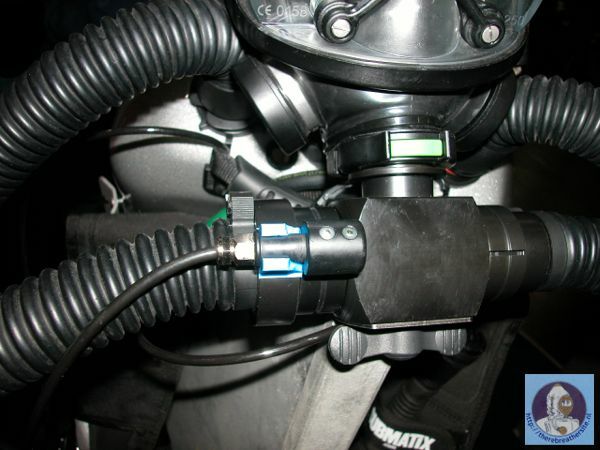 The CCR inlet & outlets both have blanks fitted where the corrugated hoses normally fit. 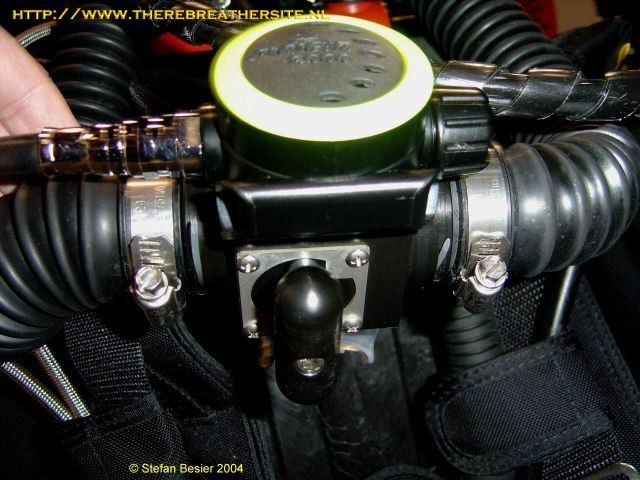 The mechanics of the OC reg are Scubapro S600 so it is balanced. 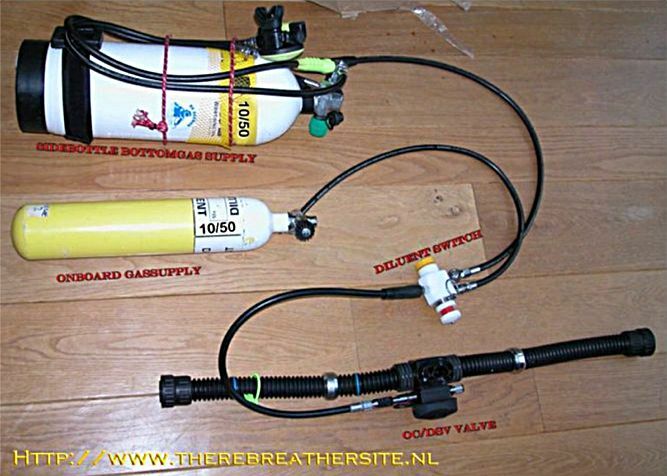 The inhalation membrane is Dacor Vyper, so same as on the Bob Howell.The two exhalation membranes are Aqualung. 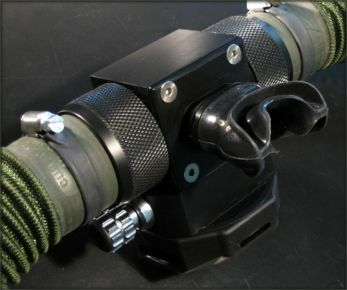 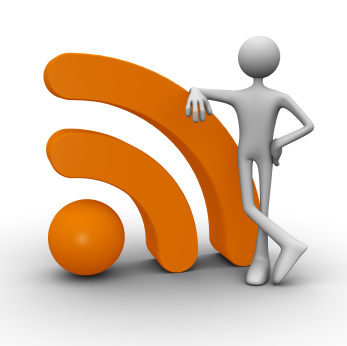 It is not CE tested, but has been used at 150 m with no complaints. 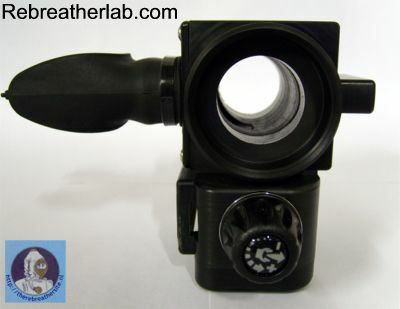 I have tested it my self at 120 m and I really breathed hard in it and did A/B checks comparing with a standard S600.I could not feel much difference in effort. 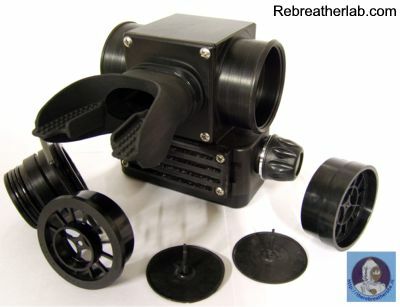 People who buy it seems happy with it. 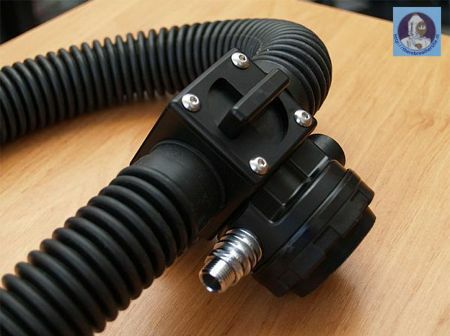 There is no problem to do neg pressure tests as it has the same sealing principle as the Cis-Lunar MK5P BOV but much larger inner bore. 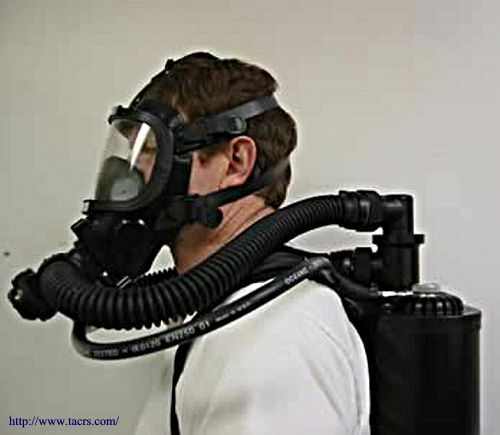 The work of breathing in CC and OC is extreme low. 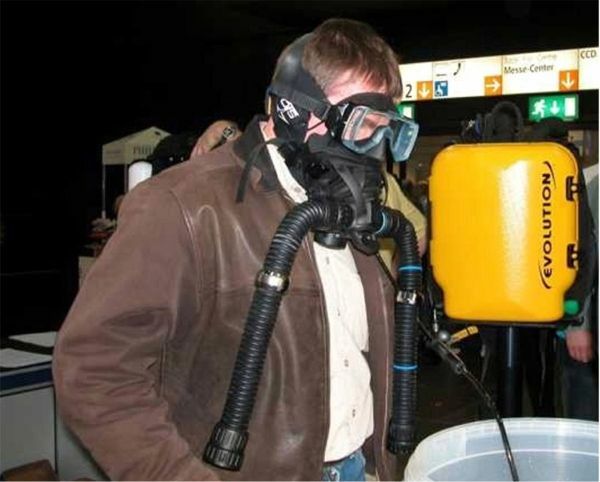 you are now on the regulator. 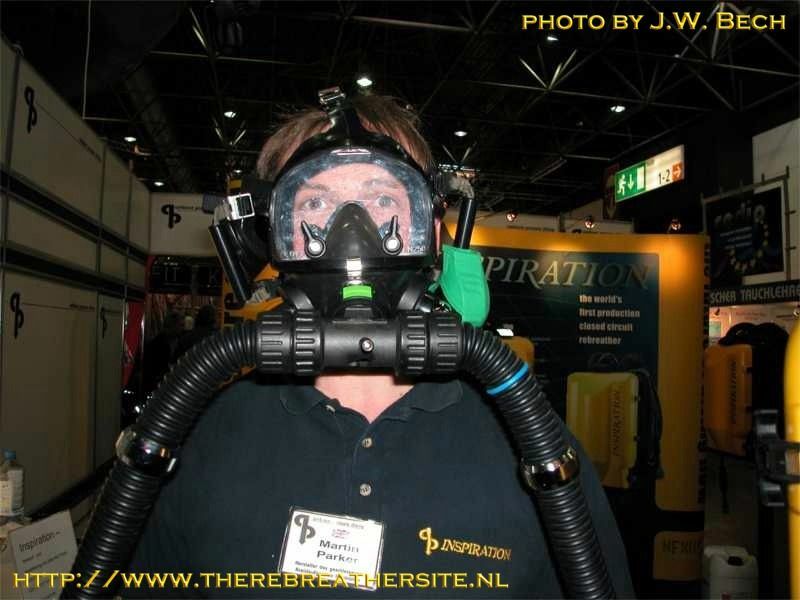 The JJ mouthpiece is produced for all kind of rebreathers. 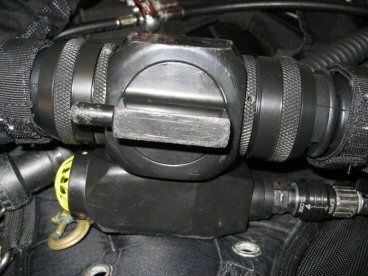 Adaptors are made to fit the hoses. 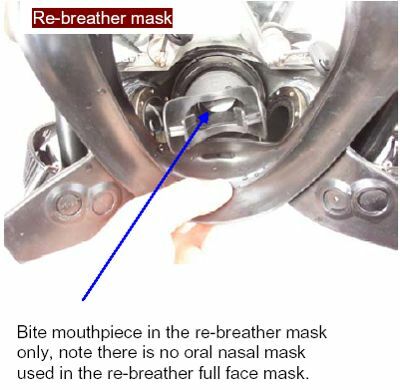 The JJ mouthpiece has been developed and testet since June 2007.
and have done tests at the Deep Life ltd. for the CE marking. 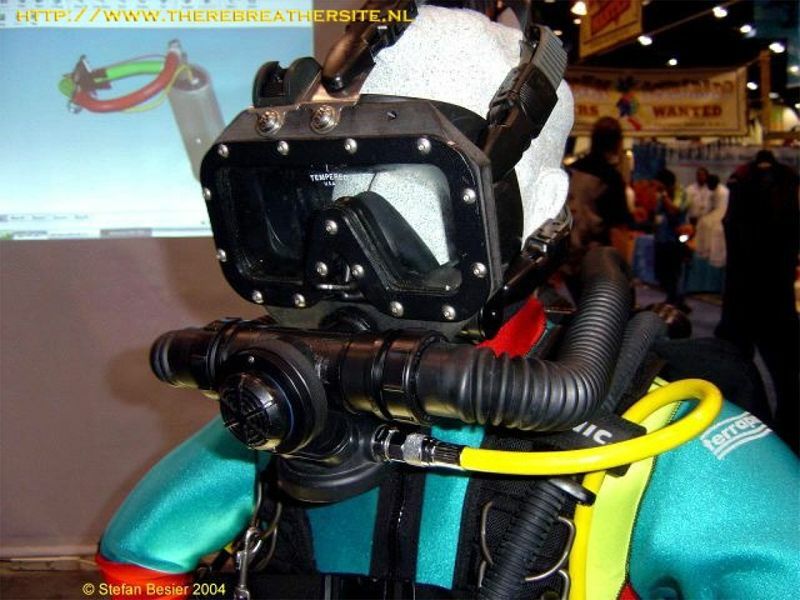 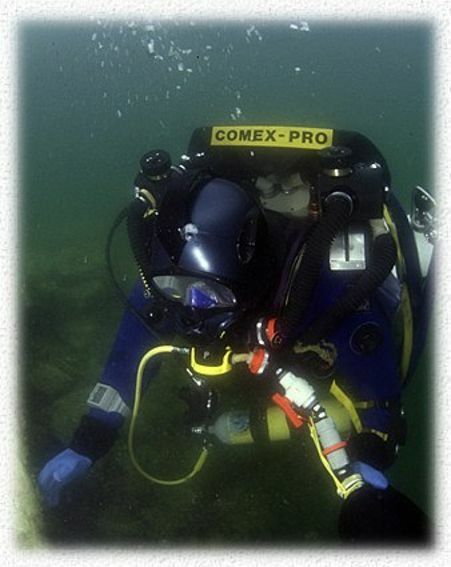 Rebreather BOV designed as OEM for construction or reconstruction of your own rebreather. 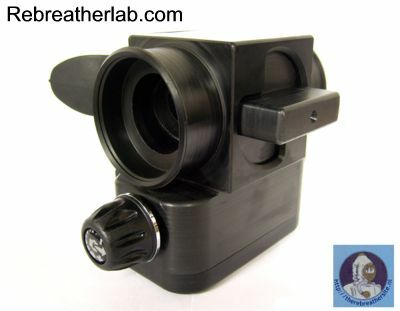 It is possible to choose from option with connection of LP tube for an open circuit into mouthpiece from right or left side. 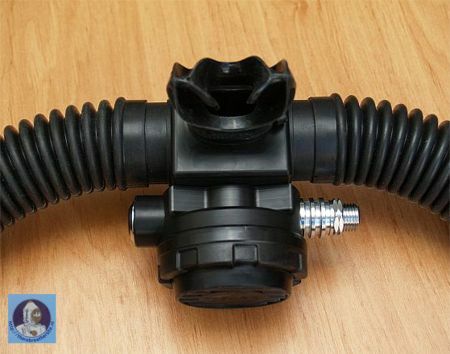 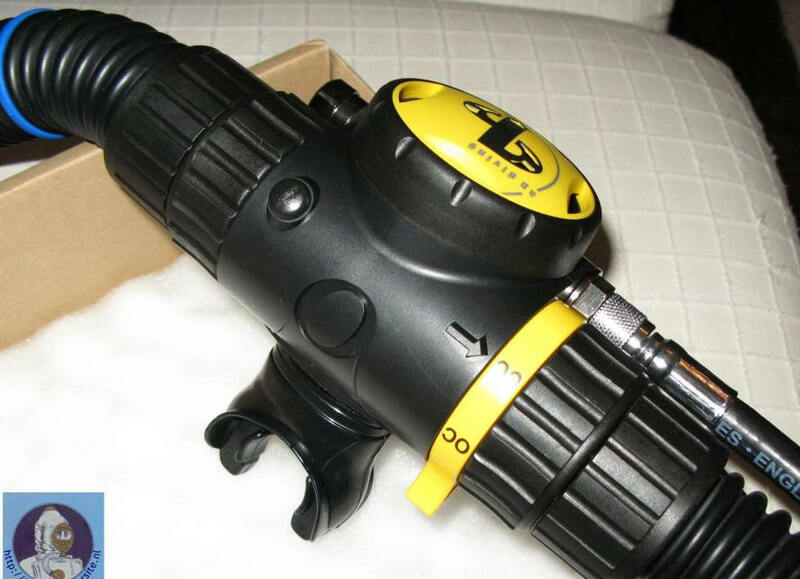 The BOV is made of resistant plastic material Delrin. 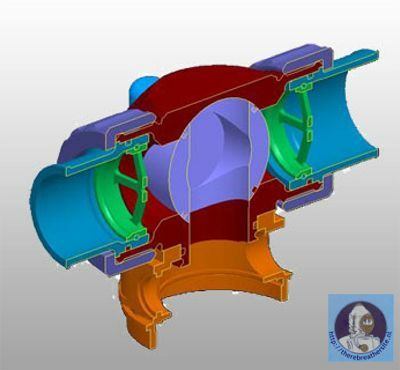 To create a mechanics for open circuit we have chosen components APEKS which guarantee high quality and the components are easily available. 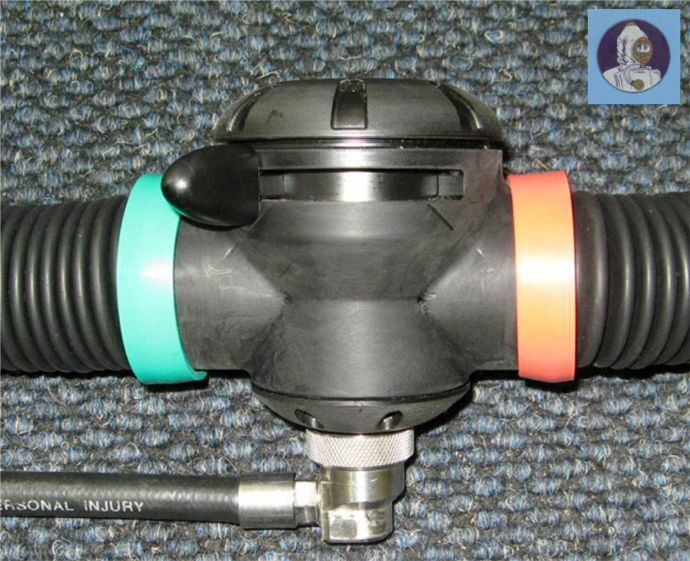 If you know other manufacturers of Bailout valves or FFM's with bailout facilities, please don't hesitate to let me know! 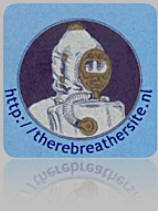 I will add them to this page to get the complete picture!